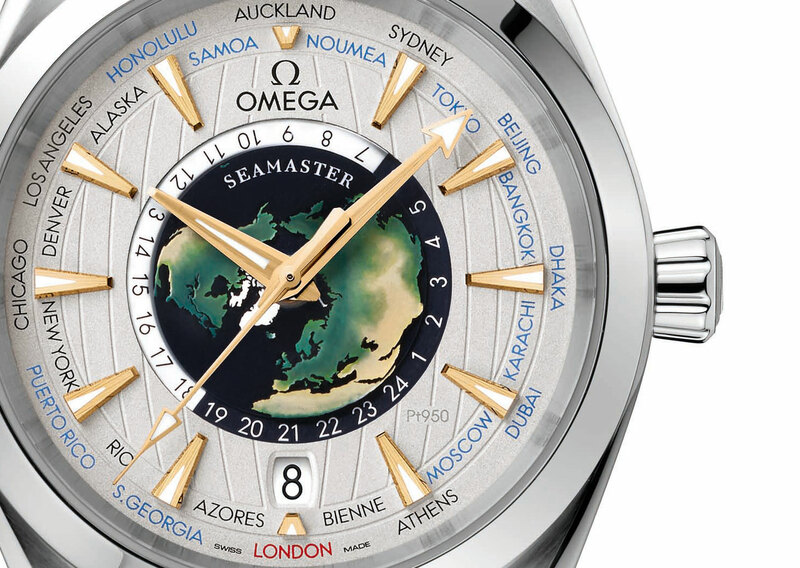 Omega tends to create small runs of pricey, platinum watches to mark the launch of a new model, so the debut of the Seamaster Aqua Terra Worldtimer limited edition indicates there’s a world time watch in the pipeline. 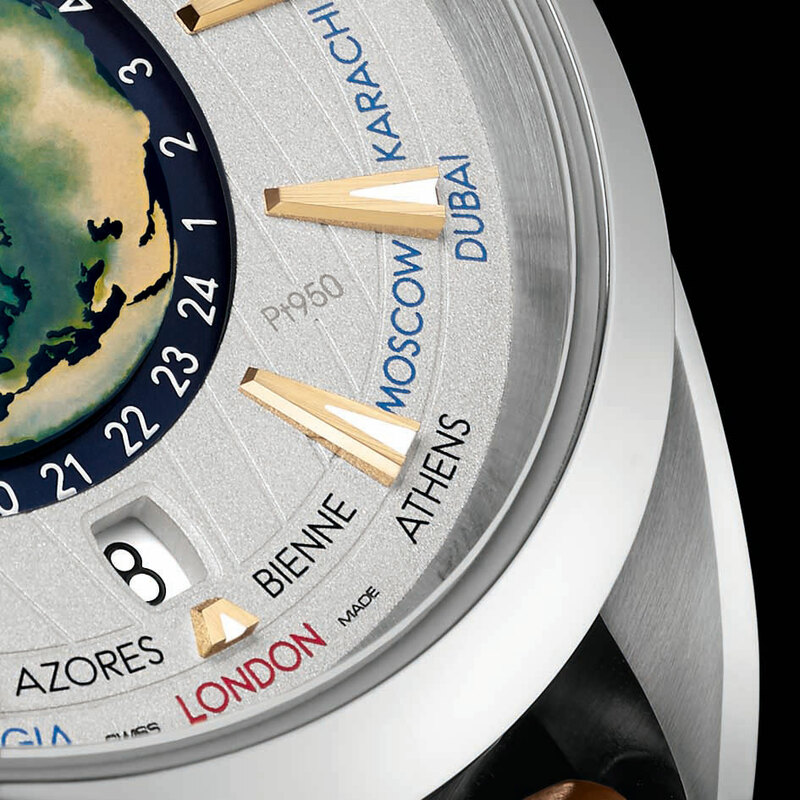 The plainer versions of the Aqua Terra Worldtimer have yet to be revealed, so for now the Seamaster Aqua Terra Worldtimer Master Chronometer in platinum stands alone, in a limited edition of 87 pieces. Most of what’s visible is precious metal. 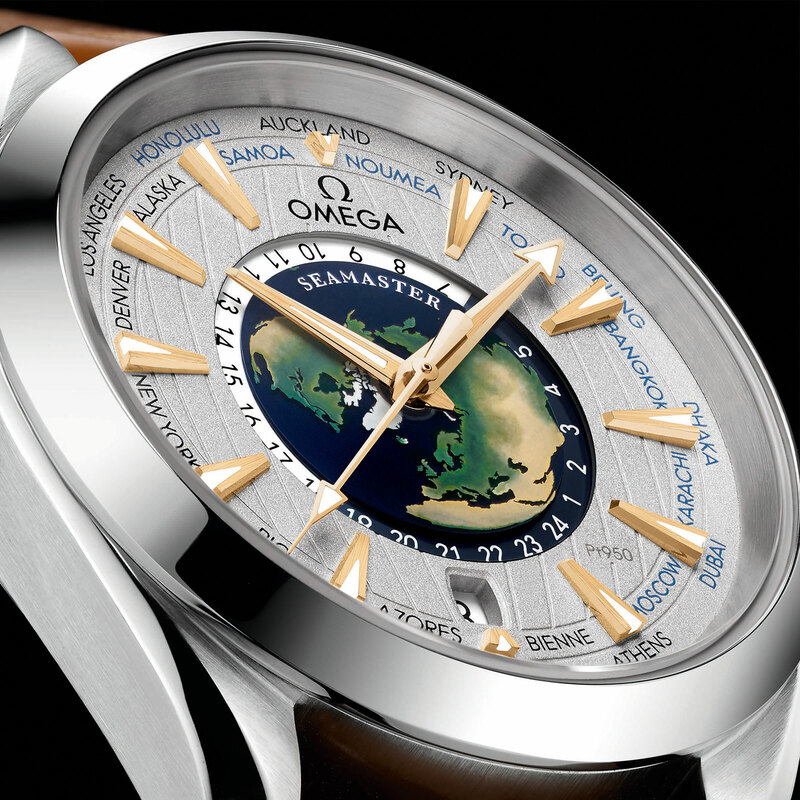 The 43mm case is solid platinum, as is the frosted dial that’s decorated with a world map in vitreous enamel. Similarly, the hands and hour markers are 18k yellow gold. The watch functions with a fixed cities disc and rotating 24-hour home time wheel; the enamelled globe is decorative and static. For seasonal time changes, the cities on the world time disc are colour coded: black indicates places that utilise summer time, and blue for locations without summer time. And while Paris or Geneva is typically used to represent the time zone of GMT +1, here it has been replaced with Bienne, the Swiss city that’s home to Omega. The world timer is equipped with the cal. 8939, a Master Chronometer-certified movement that, thanks to patented alloys, boasts magnetism resistance to over 15,000 Gauss, an industry record. It’s also tested for accuracy and functionality by METAS, the Swiss federal meteorological and measures institute. And because the watch has a precious metal case, the rotor and balance bridge are 18k red gold, replacing the brass components used on steel watches. 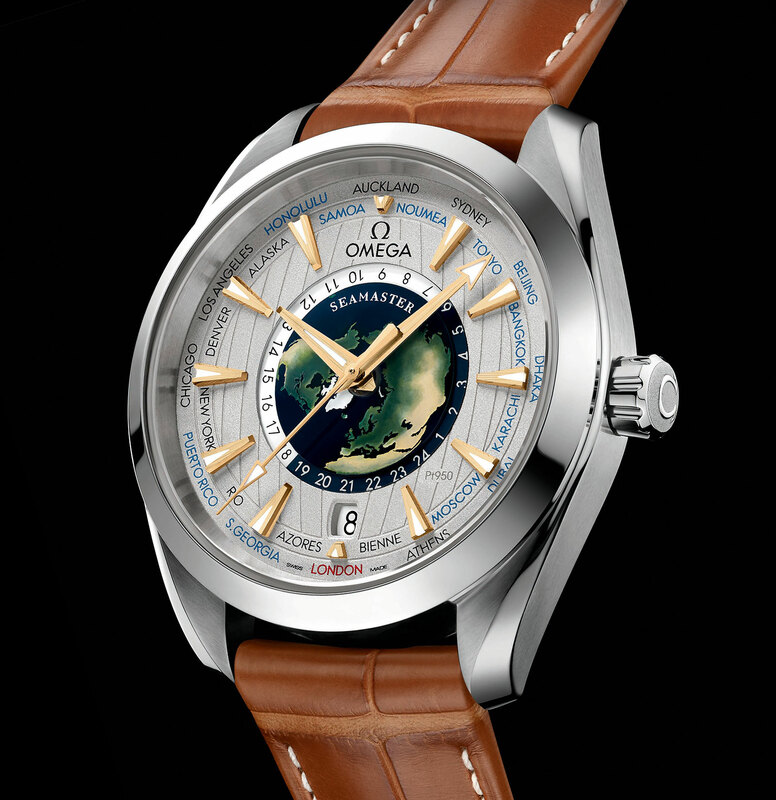 The Seamaster Aqua Terra Worldtimer Master Chronometer Limited Edition (ref. 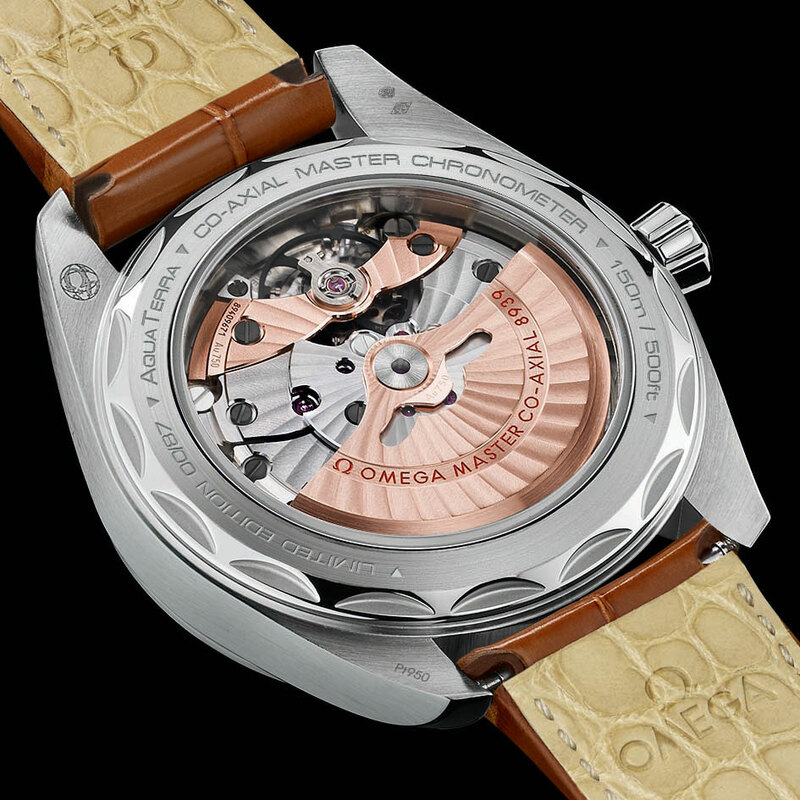 220.93.43.22.99.001) is limited to 87 pieces, priced at US$48,600. It will be available at Omega retailers and boutiques starting December 2017. Omega will mark the upcoming James Bond film Spectre with a limited edition Seamaster Aqua Terra wristwatch that is magnetism resistant to 15,007 Gauss - and limited to 15,007 pieces.